Having first played The Ocean Course at Hokuala (then called Kauai Lagoons) in 1993 and revisiting it in April, 2012 and again in 2017, I continue to be a bit perplexed as to why this remarkable resort course built in 1987 by Jack Nicklaus is not on the tips of everyone’s tongues when it comes to great places to play. It should be. There is little in the benign first hole that prepares you for the treat that awaits you. It is wide, flat, and attractive in a “resorty” sense, but not too testing. The second hole is another wide-open hole. Though generously bunkered to the right side, this hole is easily reachable by a stronger hitter in two shots and not too much trouble for anyone else provided you stay left. With the next three holes, architect Jack Nicklaus ratchets up the challenge with two good par-fours and a great 219-yard par-three over the jungle followed by a “Cape Hole” tee shot over the jungle on the par-five 6th (angled so you can cut off as much of the hole as you dare). (This four-hole stretch is referred to as Kauai Lagoon’s “Amen Corner.”) Once you experience the 169-yard 8th with the pond to the right and the manicured grassed banks and bunkers around it, you are mightily impressed. Like the other prime Kauai golf properties, Kauai Lagoons spent an impressive sum in bringing Nicklaus back in 2010 for renovations that have already included the “new” Kiele Moana (Ocean) Nine which has been the concluding nine. (All three nines are to be renovated.) Like the Mauka Nine, the starting two holes of the more exposed open nine are less than impressive, but it only gets better and better. When you realize that you are about to face the longest continuous stretch of ocean holes in Hawaii with Jack Nicklaus the captain, that’s exciting. He doesn’t disappoint. The well-bunkered 367-yard 12th teases you to fire at the green, but the sage play is out to the right. I understand that Nicklaus admires the short 10th hole at Riviera with its angles and I’m just wondering if he didn’t incorporate a mirrored image bit of similar strategy with this hole. The next hole is a strong par-four that typifies this design – wide fairways with green sites that will challenge you to complete a good score. Yes, Kauai Lagoons is a “approach shot” golf challenge. From here on in until you reach the plateau of the par-three 17th tee, you have the ocean and the Nawiliwili Harbor to your left. Exciting shots and picturesque vista abound with the 331-yard sliver of a par-four 16th being as diabolical a little hole as you will find – a drivable disaster in waiting. Even laying up off the tee does not guarantee a par! The course concludes with a strong finish that includes two peninsula green sites on holes usually playing directly into the prevailing trade winds in the midst of a 40-acre freshwater lagoon. In total, Kauai Lagoons features one of the best sets of par-threes anywhere, let alone in Hawaii, spectacular oceanside play, and the conditioning of Kauai Lagoons is excellent. 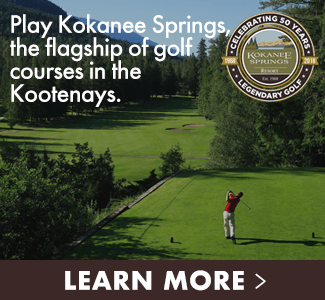 When you add the friendly staff and well-appointed practice facilities, which include another player-friendly nine-hole course, it makes for quite an offering! Again, I wonder why more attention isn’t paid to this wonderful facility. 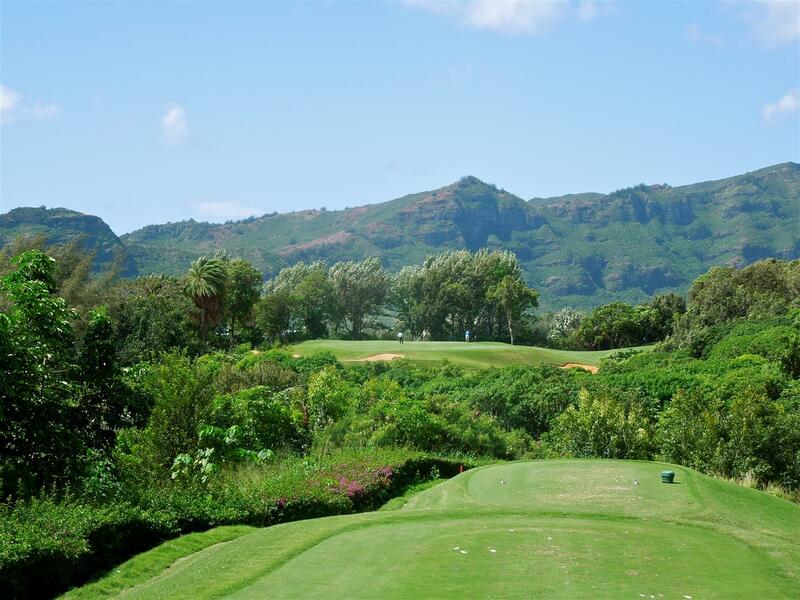 Kauai Lagoons is a marvelous Nicklaus resort design and a facility that you definitely MUST PLAY when visiting Kauai.